Ildar Abdrazakov was born in Ufa where he studied music at the State Institute of Arts (class of Professor Murtazina). After graduating he joined the Bashkirian Opera and Ballet Theatre. In 1998 Ildar Abdrazakov made his Mariinsky Theatre debut as Figaro (Le nozze di Figaro), and in 2000 he joined the Mariinsky Opera Company. The singer’s repertoire also includes: Dosifei (Khovanshchina), Viking Guest (Sadko), Assur (Semiramide), Oroveso (Norma), Basilio (Il barbiere di Siviglia), Mustafa (L’italiana in Algeri), Selim (Il turco in Italia), Moses (Mosè in Egitto), Mahomet II (Le siège de Corinthe), Attila (Attila), Don de Silva (Ernani), Oberto (Conte di San Bonifacio), Banco (Macbeth), Monterone (Rigoletto), Ferrando (Il trovatore), Pharaoh and Ramfis (Aida), Mephistopheles (Mefistofele, Faust and La Damnation de Faust), Escamillo (Carmen) and Figaro (Le nozze di Figaro). Ildar Abdrazakov's concert repertoire includes the bass roles in Mozart's Requiem, Cherubini's Mass in F and Messa solenne, Beethoven's Ninth Symphony, Rossini's Stabat Mater and Petite Messe Solennelle, Verdi's Requiem, Berlioz' Third Symphony (Roméo et Juliette) and Messe solenelle and Stravinsky's Pulcinella. 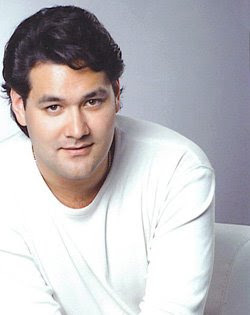 Ildar Abdrazakov currently performs at the world's leading opera houses. In 2001 he made his La Scala debut (Milan) as Rodolfo (La sonnambula) and in 2004 he debuted at the Metropolitan Opera as Mustafa (L'italiana in Algeri). He tours frequently, giving recitals in Russia, Italy, Japan and the USA as well as taking part in the music festivals Irina Arkhipova Presents, Stars of the White Nights, the Rossini Festival (Pesaro, Italy), the Vladimir Spivakov Festival in Colmar (France), the Verdi Festival in Parma (Italy), the Salzburg Festival the Mozart Festival in La Coruña (Spain). Over the course of his career, Ildar Abdrazakov has appeared at the Liceu (Barcelona), the Teatro Filarmonico (Verona), the Teatro Massimo (Palermo), the Wiener Staatsoper and the Opéra Bastille (Paris), working with such outstanding conductors of the age as Valery Gergiev, Gianandrea Noseda, Riccardo Muti, Bernard de Billy, Riccardo Frizza, Riccardo Chailly, Gianluigi Gelmetti, Antonio Pappano, Vladimir Spivakov, Daniel Oren, Boris Gruzin, Valery Platonov, Konstantin Orbelian and Myung-Whun Chung. In the 2006-2007 and 2007-2008 seasons Ildar Abdrazakov appeared at the Metropolitan Opera (Faust), the Washington Opera (Don Giovanni), the Opéra Bastille (Luisa Miller) and La Scala (Macbeth). Engagements for the 2008-2009 season included appearances at the Metropolitan Opera as Raimondo (Lucia di Lammermoor) and Leporello (Don Giovanni), the Verdi Requiem at the Royal Opera House, Covent Garden, and in Chicago with Riccardo Muti as well as a concert performance and recording of Berlioz’ légende dramatique La Damnation de Faust in Vienna with Bertrand de Billy. In the summer of 2009 Ildar Abdrazakov made his debut at the Salzburg Festival in title lead role in Moïse et Pharaon under Riccardo Muti. In the 2009-2010 season Ildar Abdrazakov performed at the Metropolitan Opera in La Damnation de Faust (directed by Robert Lepage) and in a new production of the opera Attila under Riccardo Muti. Other highlights of the season include Figaro in Washington, a recital at La Scala and a series of performances with the Wiener Philharmoniker under Riccardo Muti in Salzburg. The singer's recordings include unpublished arias by Rossini (conducted by Riccardo Muti, Decca), Masses by Cherubini (Bayerische Rundfunk Orchestra under Riccardo Muti, EMI Classics), Shostakovich's Sonnets of Michelangelo (BBC and Chandos) as well as Rossini's opera Moïse et Pharaon (orchestra of the Teatro alla Scala under Riccardo Muti).